This black Kenwood kMix 2 piece set includes a black 1.7 litre kettle and a black 4 slot toaster. The kettle is cordless and features a flip top lid for easy filling and a clear water level indicator. The 4 slot toaster has an adjustable browning function and manual toast lifts for checking your toast during operation. The toaster also features defrost, reheat and cancel buttons that illuminate when in use. 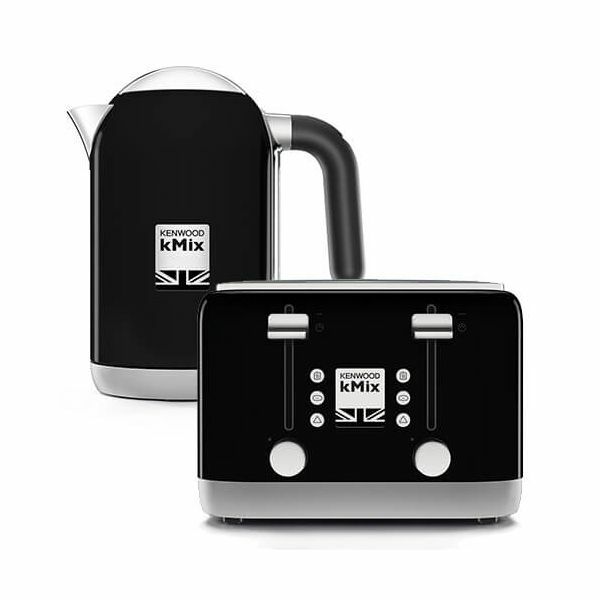 The black kMix kettle and toaster is a great start to the kMix collection and also makes a great gift.